Yamaha SW10 Studio 180W Bass-reflex Subwoofer 10"
10" bass-reflex powered subwoofer delivers solid 25Hz- 150Hz frequency response..
XLR balanced inputs (L/R/SUBWOOFER) . XLR balanced outputs(L/R/SUBWOOFER) parallel connection with input signals. Level control facilitates precise system level controls. 40-120 Hz, 80 Hz at Center Click LPF controls. Phase switch simplifies phase allignment. 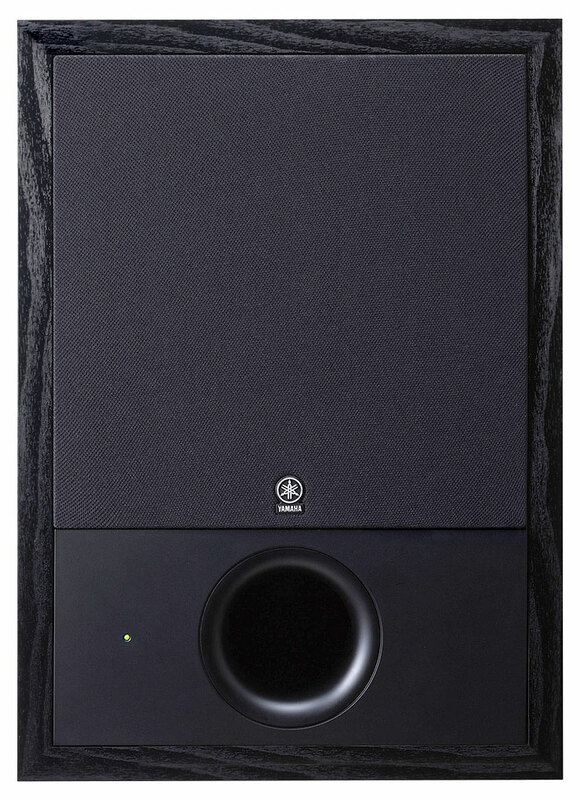 The SW10 STUDIO subwoofer has been designed specifically for optimum matching with the MSP series powered monitor speakers. Combined with MSP7 STUDIO or MSP5 STUDIO speakers in a stereo or surround system it can provide a seamlessly extended low end for accurate ultra wide range monitoring. A comprehensive selection of inputs and outputs as well as a phase switch and continuous high-cut and level controls make it easy to achieve optimum performance in any room and system. Whether you're simply mixing basic stereo programs or authoring DVD audio in full surround, MSP STUDIO series speakers plus an SW10 STUDIO will give you the ultimate monitoring experience.